If you can't find what you seek here, try our search box above, or our Articles and Architects pages. 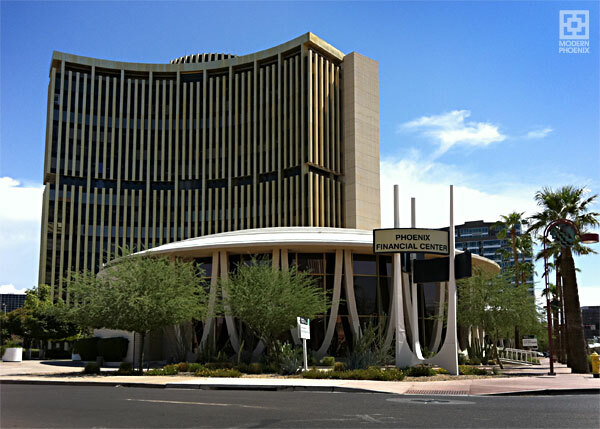 Few modern properties in Phoenix are open as toursit destinations, but our churches, restaurants and banks are top-notch and can be respectfully visited anytime during hours of operation. You can also print a driving tour of our favorite neighborhoods on PDF here. Consult the Modern Phoenix Map online for exact locations of churches, public buildings, schools, and half-day self-driving tours of churches, neighborhoods and more. Arcosanti and Cosanti by Paolo Soleri. Tours available. Taliesin West by Frank Lloyd Wright. Tours available. Desert Shelters by students at Taliesin West. Tours available. The David and Gladys Wright House by Frank Lloyd Wright. Open for events by invitation only. 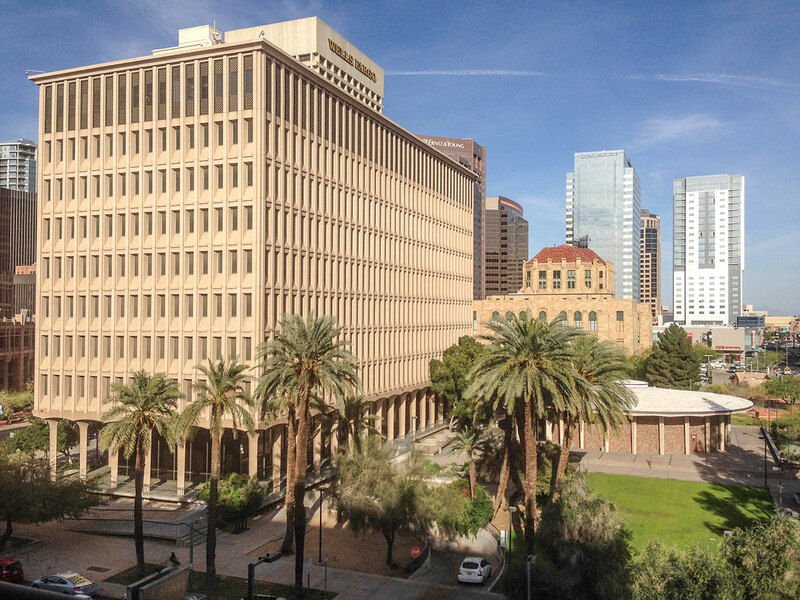 Phoenix Municipal Complex by Haver and Varney. No tours but easily accessible civic property. Phoenix Financial Center by W.A. Sarmiento. No tours, private property. Executive Towers by Al Beadle. Private property, lobby only. Hotel Valley Ho by Varney, Sydnor and Sexton. Tours available. Scottsdale Civic Center by Bennie Gonzales. No tours but easily accessible civic property. Arizona Falls is the perfect first-date picnic spot for lovers of architecture, open to the public. 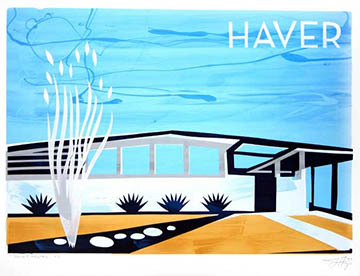 The Sandra Day O’Connor House by D.K. Taylor. Tours by appointment only. 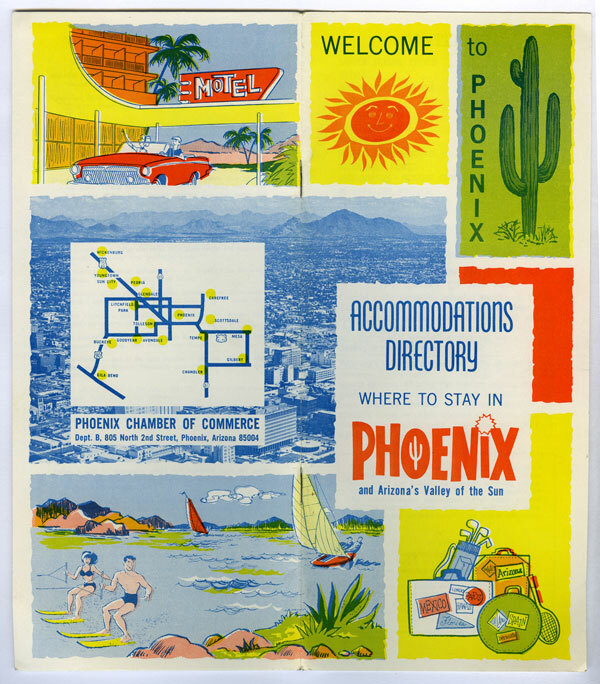 Midcentury Marvels of Phoenix [PDF] and accompanying Google map is here. 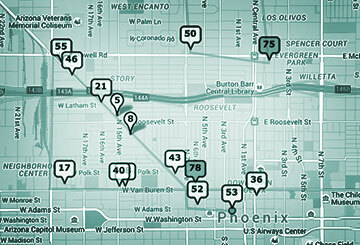 Historic Districts in Phoenix. Few are modern, but they're still nice. Self-driving tours only, ticketed annual home tours held seasonally in Encanto, Willo, and Coronado districts. See their respective websites. Held each spring during Modern Phoenix Week. Next tour is March 25, 2018. Tickets go on sale February 1 annually, and sell out in days. Download the printable PDF of Top 10 modern neighborhoods. 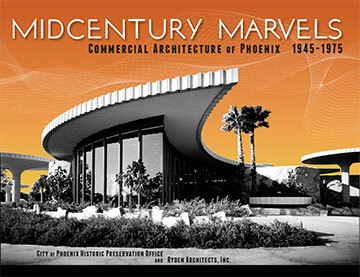 Midcentury Marvels is $25 from the City of Phx HP Office. Mail order only or pick up in person. Constructions: Buildings in Arizona by Alfred Newman Beadle By Gnosis Ltd. There are dozens of books on Wright and Soleri at Amazon. Morrissey drives up and down Van Buren for a place to live "My Love Life"